As blood specimens wait outside to be transported to the central laboratory for processing, they must be protected from extreme temperatures to remain viable for testing. The Drucker SampleSafe™ keeps specimens safe for hours in both hot and cold temperatures. Whether the pickup driver is held in traffic or slowed by bad road conditions, your specimens will retain their integrity in the Drucker SampleSafe™ lockbox. The Drucker SampleSafe™ keeps specimens safe for hours in both hot and cold temperatures. With an outdoor temperature of 15°F (-9°C), hematology specimens stored in a conventional steel insulated lockbox can freeze and hemolyze in as little as 15 minutes. 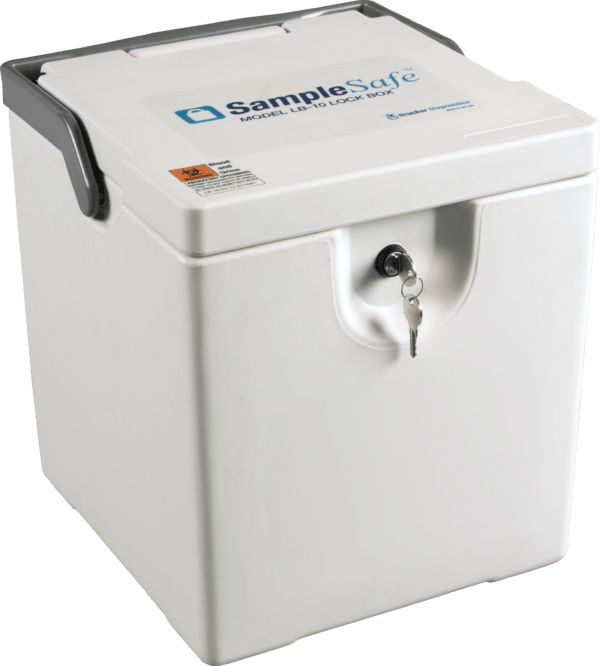 In a SampleSafe™, they remain viable for four or more hours. In 100°F (38°C) weather, specimens are threatened by the heat. Even with a cold pack, a standard metal lockbox can overheat in less than three hours. Even before total specimen non-viability, heat exposure can damage the tube’s gel separation barrier, causing proteins to precipitate from the plasma, and ultimately contaminating results. The Drucker SampleSafe™ offers hours of specimen protection without a cold pack, and protection for up to 24 hours with it. 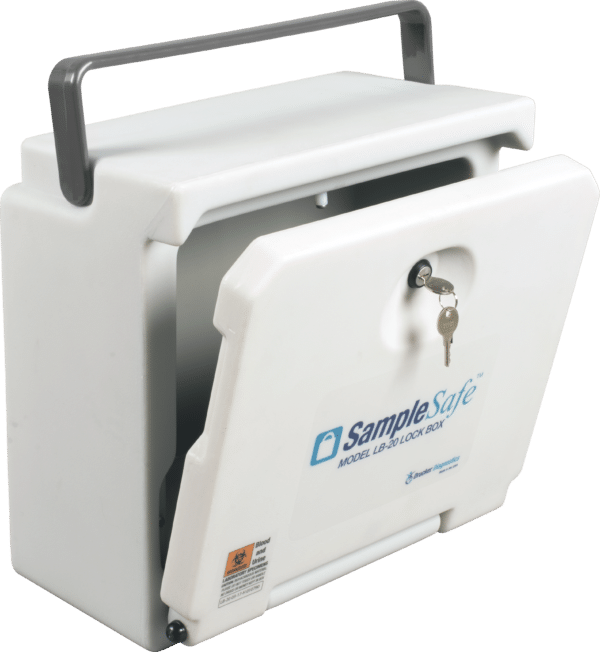 The Drucker SampleSafe™ lockbox also offers crucial sample protection for visiting nurses. 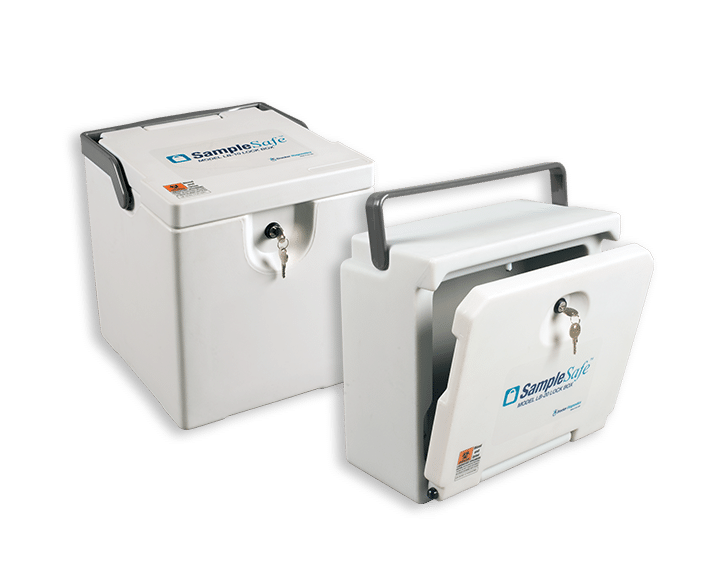 Even when stored in hot or cold vehicles during the next house call, the SampleSafe™ protects sensitive blood samples from damages caused by these temperature extremes. With a hot or cold pack, specimens can stay comfortable for a full day. Clear sample guard – specimens can’t fall out and no more missed samples at pickup!